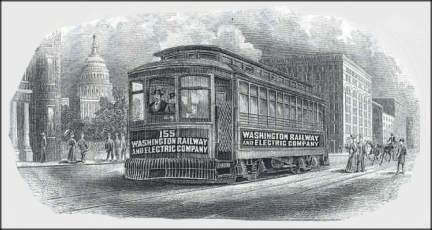 Beautifully engraved certificate from the Washington Railway and Electric Company issued in 1905. 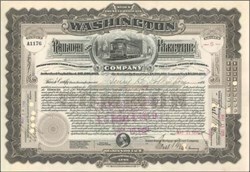 This historic document was printed by the Western Banknote Company and has an ornate border around it with a vignette of a railway car with the company name on the side and front, with the nation's Capitol in the backgounnd. This item is hand signed by the Company�s President and Secretary and is over 96 years old.